It is my bad for delaying my post on publishing such a wonderful event from Kiss Me. Never the less, please forgive my my hiatus as I am quite tight with my schedule on these days. Thank you so much for being there with me although I am half away from my blog. Sorry baby blog, I will try to spend more time with you. It was a fine Saturday with nice weather, along with a group of friends met up at the Kiss Me Sunway Lagoon Event. None of us knew what were the activities prepared for us but we did knew, the activities prepared by Sunway Group and Kiss Mee sure won't fail us. We got a chance to bring our BFF to this event and fortunately, I had Kah Mon as my plus one just because she has no choice but to be my plus one. HUEHUEHUEHUE. 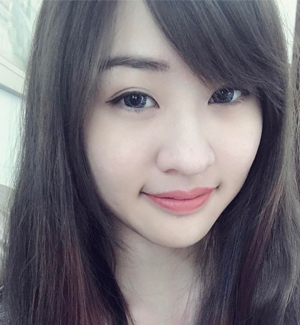 Anyone, here is a picture of le pretty girls. So all of us wore bikini for the event and the girls looked pretty with le bikini T.T. Before we got to know more about the activities for the day, we were given a short period of time to put n makeup by using Kiss Me products. Kiss Me products are pretty well known for its water resistance cosmetics so we did not hesitate much while we were told to put on makeup. Before we proceed to our activities, we were asked to group ourselved into four and had one to be leader. Leader then had to jump into the pool and grab the floating "treasure" - Kiss Me Sunkiller Sunblock series. We were then given with a few tickets where the team has to get the stamps from the Marshals at every dedicated station. Unfortunately, our team only completed 5 quests because there were a lot of people were queuing up for the fun. Do scroll down and check out what were the quests given to us. We managed to made a "8" figure within 10 minutes, I think. Quest 2 - All Terrain Vehicle (ATV) at Extreme Park. And we have a kind Marshal here. Quest 3 - Finding Scrabble Word in the box filled with Madagascar Hissing Cockroach. This was super disgusting because the roaches are scaryyyyyyyyyyyyyyy!!!!!!! Quest 4 - Conquered Pirate's Revenge. See the one waving in front of the camera but the face was blocked. I could not remember the last time I played this and I am a person who afraid of height. It was a torture for me to complete this quest as the Pirate Ship will have 2 times of 360 degrees ride. Quest 5 - World War Z at Scream Park. There were 'zombies' roaming in the place and I got scared at all times. The Vuvuzela, I regretted for not queuing up for this and until today, I am still regretting. 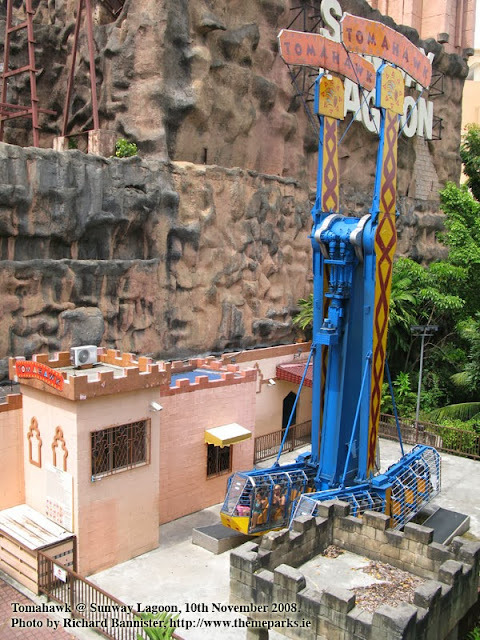 Another must go when you are visiting Sunway Lagoon. It is the world first's Waterplexx 5D so please do not miss this, else you will be regretting like me. It is another 360 degrees ride which makes you scream again and again. I would suggest you to ride on the Pirate's Revenge before coming onto this one. Phew~ After all the tiring journey of running here and there, we were back to the base. Surprisingly all of us still looked pretty with the makeup. We continued to take lots of photos like this before we cleaned ourselves. Apparently there was a contest for those who managed to complete most of the quests with the least time needed. Yeeing's group was one of the winner. Food was served as a buffet style. The fish fingers were my favourite of the day because those were the most delicious food compared to the others. Then cupcakes were served but not much of the people were willing to bite the heels off the cake. The bloggers got to pampered themselves with nail painting. Oh well, Kiss Me eyeliner has once again proved for its ability on water resistance, based on the moon and star drawings on the back of the palm. Tada! My face after the makeover session! Ok, I'm just joking but I assume most of the girls are familiar with this icon. She's the icon for Kiss Me, if you are wondering much about this cartoon-ish lady. A photo of me and my BFF wor~ Our makeover weren't that bad, were we? As usual, ending my post with a photo of all bloggers that attended the event. P/S: I knew the post is quite short and filled with images. Thank you for taking your time on reading my post because I was quite excited to share out my thoughts as it reminded me on my trip to Tambun. Thanks to Kiss Me and Sunway for organizing this event.